good service and product. delivery outstanding. Easy to use website, very good products at a very good price. I would recommend to anyone. Superb Quality and Service Brooke Taverner offer a good range and choice of clothing, which is of an extremely high quality. Support for the customer is exemplary and also incomparable. Unfortunately for my bank account, quoting General MacArthur, "I will return!" I have never been disappointed with any item. On the contrary, all have been of the highest quality, backed up by excellent service. Go to the top of the class! Excellent quality product with superb service. Delivery always prompt. Returns with no fuss and the best quality for the best price. This is the 5th suit I have ordered and like the rest this dinner suit has been impeccably tailored. The service is second to none and returns are so easy. Thank you and I look forward to buying suit No 6 and beyond. Having lost a large amount of weight, I needed a dinner jacket quickly. 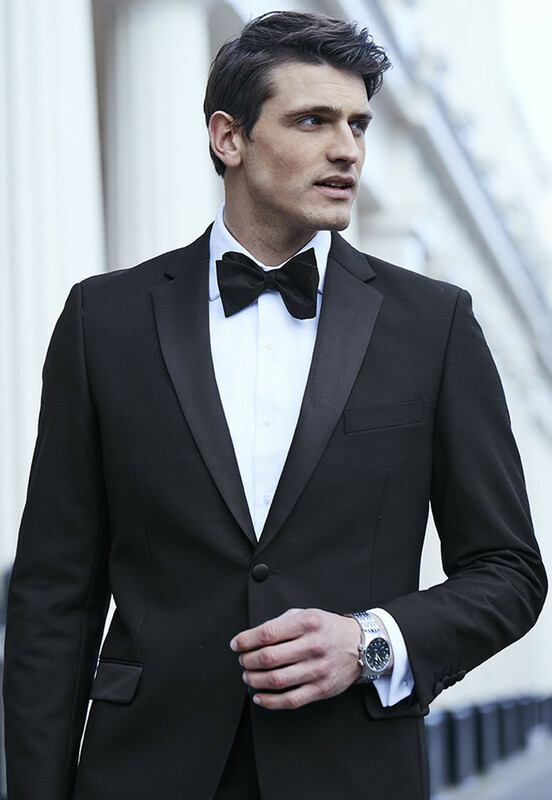 I had previously had a dinner jacket from Brook Taverner and had been happy with the quality. Following the advice on the website, I got a size smaller than I thought I would need. It fit perfectly. As i had a week until the dinner party, I opted for the regular delivery. It arrived the morning after I ordered it. Everything we ordered was delivered as told ,presented well and of fine quality- even when we had to change a jacket to a smaller size for my grandson there was no problem,all went to plan. Quick and reliable service at good value. Ordered over the weekend and dispatched on the Monday received the next day. I recently ordered a dinner suit from Brook Taverner for my 18year old son who is 6ft 3ins and was delighted with the quality and the fit and even ordered an extra pair of trousers. I have used Brook Taverner on many occasions as they have an unfinished hem which is ideal when needing a 36 inch inside leg. Their loyalty points scheme is also very good. Generally very good- clothes are of good quality and fit! Easy to Order online. Great fit. Great quality. I have always had good efficient service and I am impressed with the quality of the goods which offer excellent value for money. Very quick and efficient service. Quality of goods excellent. No hesitation in recommending this company. The best on-line service ever! 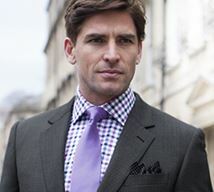 If you want good quality clothes together with the best possible service, you have to use Brook Taverner. From placing the order to quick and efficient delivery, fast exchange and/or refund if needed and excellent customer support by telephone or on-line this is the company that meets all your requirements! Fast efficient service! Exchanges delt with very quickly! Would definitely recommend!! trousers delivered quickly and well packaged. Would definitely recommend. Ordered by telephone answered straight away by a helpful young lady who took my order which arrived promptly and well wrapped. I was very pleased with both the jacket and trousers and the reasonable price. I have ordered from BT before and will,of course do so again. Used before so knew standard and product "feel" good factor. Ordered shirts and replacement Dinner Suit. Again, very satisfied with product, cost and service. Everything came as advertised in the time Expected. Great quality, fair prices. 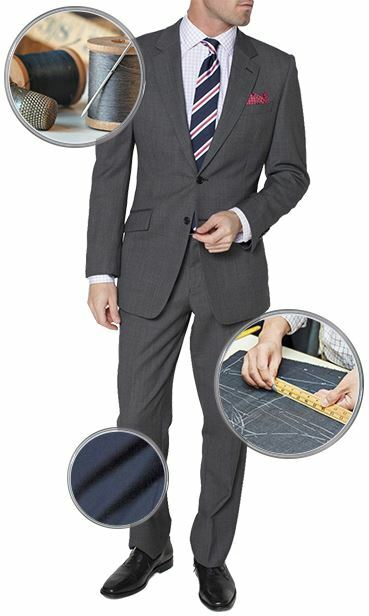 I have used Brook Taverner for 3 years now specifically for suits. I work in London and the quality and style fits in well. I had one problem suit once and Brook Taverner replaced it immediatley without question. A great company that makes my life easy with a one stop shop. Great Dinner Suit at good price, another good Brook Taverner purchase. A well made suit at a god price. I have been really happy with the prompt service and quality of goods thus far provided by these guys. They were great, nothing was to much trouble. Simple service prompt refund on returns, quality clothes. the product was very good at a sensible price. Delivery took slightly longer than expected. The quality of all the items I have bought has been excellent. 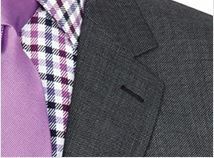 I particularly like the linings (of suits) and the standard of finish on all items. Also I recently had occasion to return a jacket for a minor blemish and the replacement was received one week later which I consider to be first class service. My tip is to watch for some good offers which come up from time to time. Also note that, in my opinion, waist sizes tend towards the small and I have taken to ordering 38" waist instead of the 36" I normally buy. It has worked for me so far. I was worried about me delivery arriving on time for a particular event. This concern was not reduced in any way after a conversation with the Customer Relations Team, who were not able to provide a delivery date. However, I need not have worried because my delivery arrived in record time (considering alterations were needed to both set of trousers and all was well. Good quality and excellent service. The items that I purchased were as described in the brochure and I am very pleased with them. The exchange of one item for a smaller one was extremely rapid and cost free. My experience of the service from Brook Taverner is one of a business majoring on good service , politeness and excellent quality of product. I sent a jacket back as I had measured myself incorrectly actually two inches less was needed , a change in out changing world and the replacement was there in three days, I always knew where things were due to brief email contacts. Perfect fit, no fuss return. My suit was as perfect as if a tailor stiched it together on me. The trousers were a different size due some miscommunication, but that gave me the opportunity to try the return/exchange service. The paperwork for that is sent with the package, freepost included, no strings attached. Still waiting for the trousers to arrive, but I'm sure it will be a perfect fit. I am a relatively new customer to Brook Tavener and have been more than delighted with the quality of product and service in particular the sped with which a request for exchange garment was handled. Please could I ask if you do the Chiswick dinner suit in a tailored or slim fit. The Chiswick suit is only available in a 'classic fit'. We do not have a tailored/slim fit dinner suit in our collection. The Chiswick Dinner Suit Trousers do have an elasticated waistband adjuster. What is a “French bearer”? The french bearer is a special button behind the fly of plain fronted trousers. It helps hold the front of the trouser flat, so making them look smarter. Ordered by telephone answered straight away by a helpful young lady who took my order which arrived promptly and well wrapped. I was very pleased with both the jacket and trousers and the reasonable price. I have ordered from BT before and will,of course do so again. 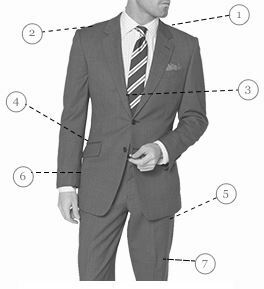 I have used Brook Taverner for 3 years now specifically for suits. I work in London and the quality and style fits in well. I had one problem suit once and Brook Taverner replaced it immediatley without question. A great company that makes my life easy with a one stop shop. the product was very good at a sensible price. Delivery took slightly longer than expected. The quality of all the items I have bought has been excellent. 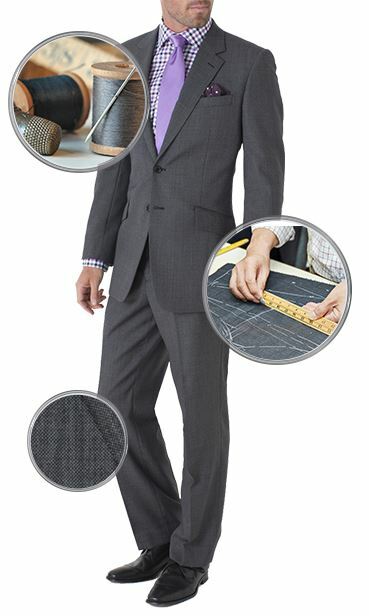 I particularly like the linings (of suits) and the standard of finish on all items. Also I recently had occasion to return a jacket for a minor blemish and the replacement was received one week later which I consider to be first class service. My tip is to watch for some good offers which come up from time to time. Also note that, in my opinion, waist sizes tend towards the small and I have taken to ordering 38" waist instead of the 36" I normally buy. It has worked for me so far. My suit was as perfect as if a tailor stiched it together on me. The trousers were a different size due some miscommunication, but that gave me the opportunity to try the return/exchange service. The paperwork for that is sent with the package, freepost included, no strings attached. Still waiting for the trousers to arrive, but I'm sure it will be a perfect fit.